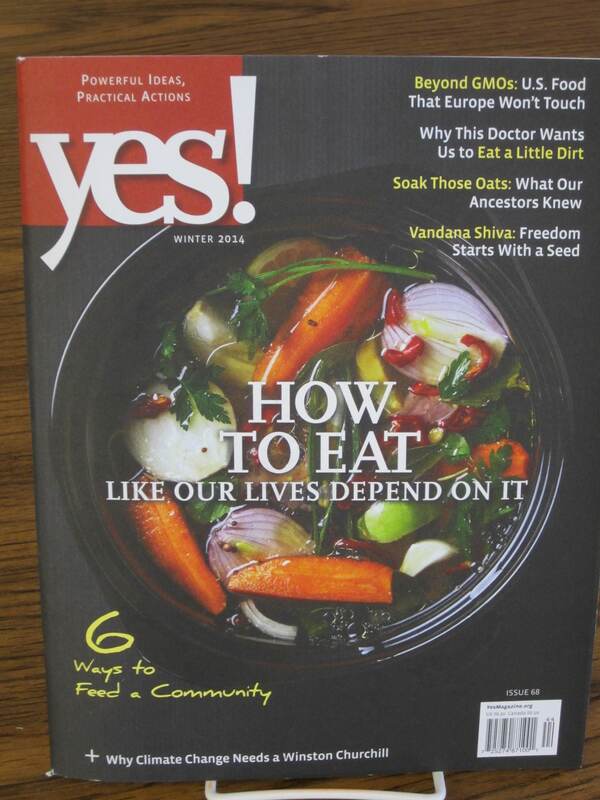 We have received the first issue of a quarterly magazine, “Yes!” Stop by and check out this and other new DVDs, CDs and books in the IRC. This entry was posted in Announcements on January 30, 2014 by nluebke. 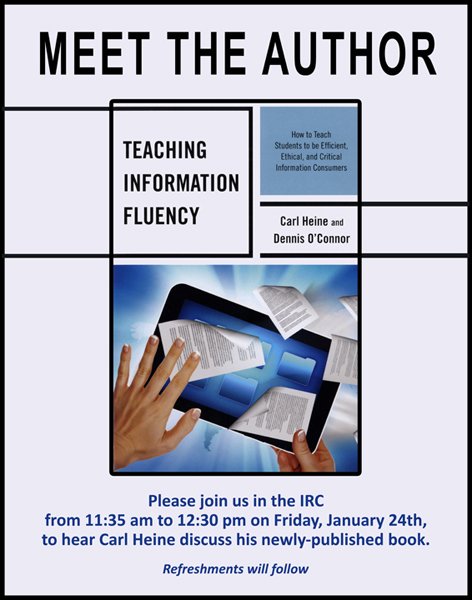 Please join us in the IRC to celebrate the publication of Carl Heine’s book, “Teaching Information Fluency,” from 11:35 a.m. until 12:30 p.m on Friday, January 24, 2014. Carl is a member of the Strategy and Innovation Department at IMSA. Refreshments will be served and attendees will have a chance to chat with Carl. 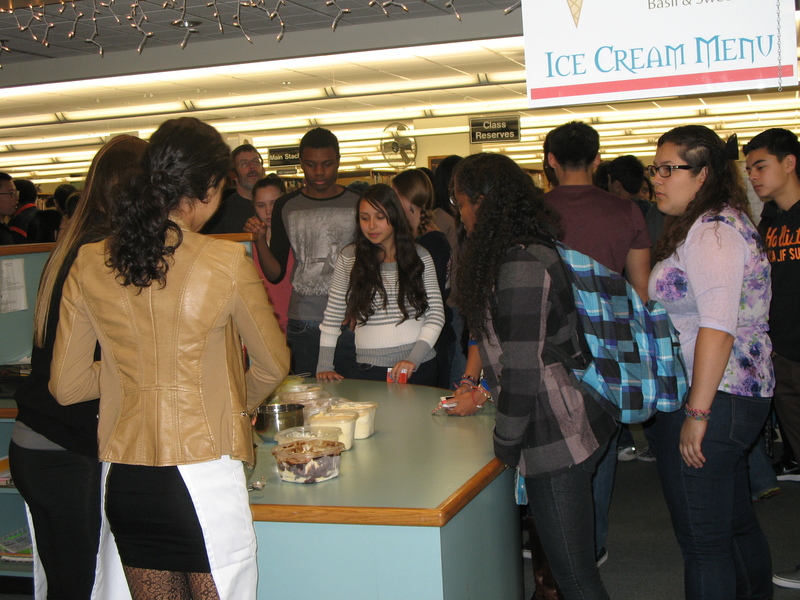 This entry was posted in Announcements, Events on January 21, 2014 by nluebke. In honor of Martin Luther King, Jr. Day, Connie James-Jenkin has put together a multimedia display of material honoring the civil rights leader. 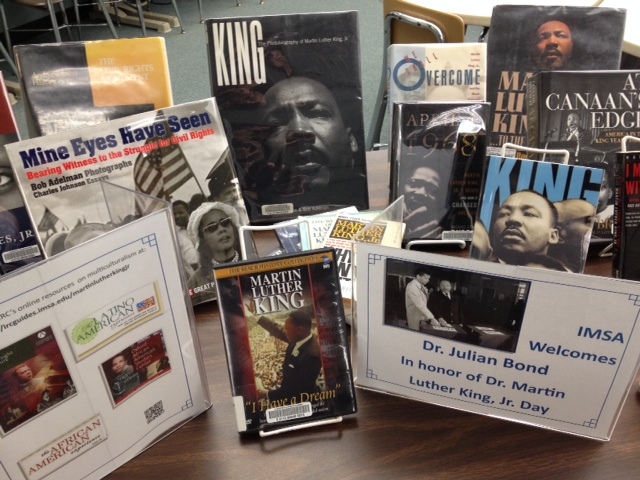 Everything on display can be checked out, and if you are looking for more information on MLK, visit http://ircguides.imsa.edu/martinlutherkingjr. This entry was posted in Displays on January 20, 2014 by nluebke. We’ve just received the first issue in our new subscription to the “New York Review of Books.” Not only are there timely pieces penned by various writers, but the “New York Review of Books” has some very interesting ads in the back pages. This publication is celebrating it’s 50th year of publication and is now available to read in the IRC or check it out! This entry was posted in Announcements on January 20, 2014 by nluebke. 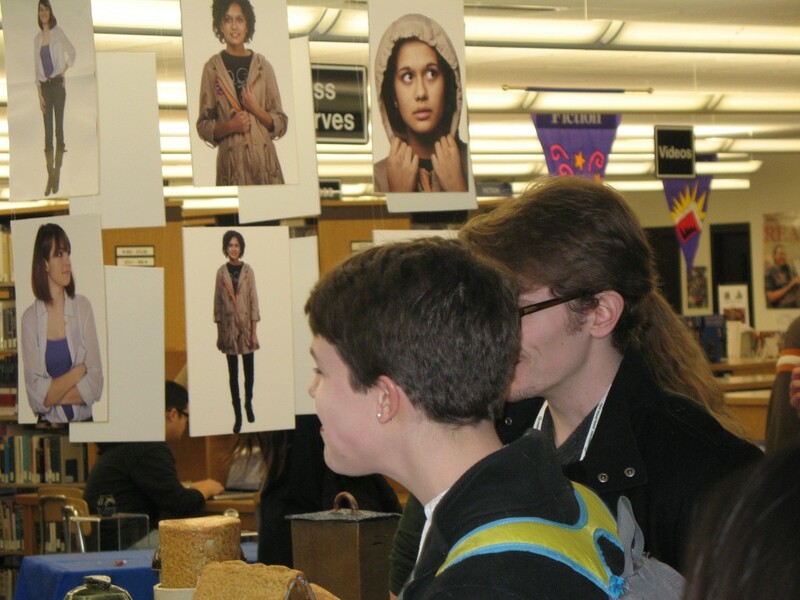 Blogging live from this year’s Art Expo in the IRC, held on Friday, January 10, 2014. 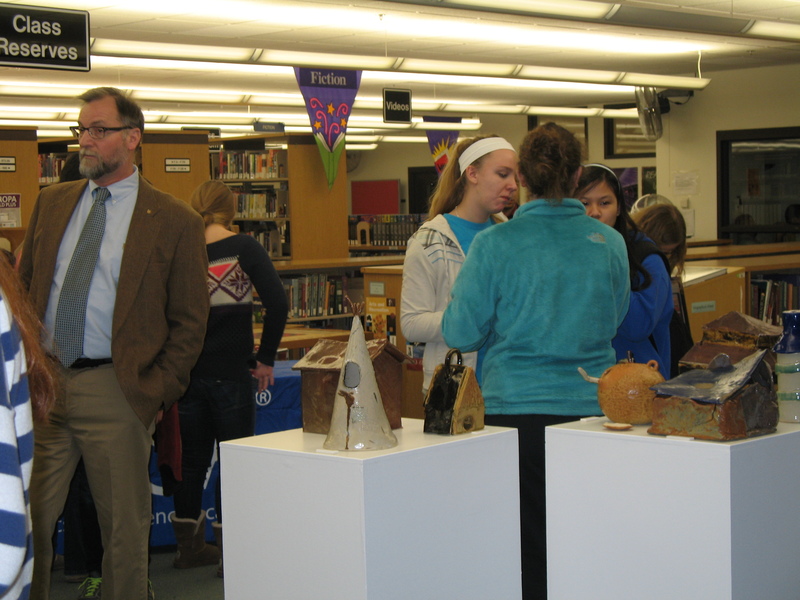 IMSA student photography, ceramics, glass blown objects, graphic novels and illustrations were displayed and available for sale during the IMSArt Expo, which was held from 11:00 a.m. until 1:00 p.m. in the IRC. 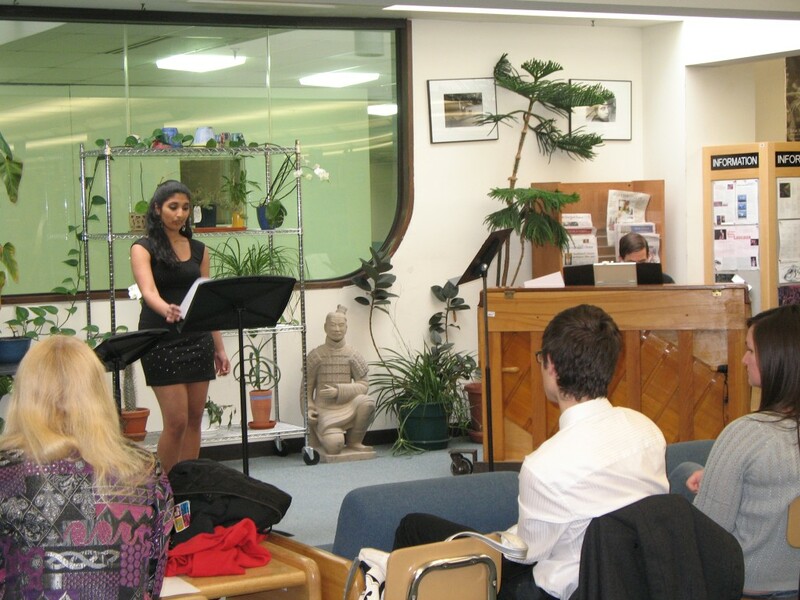 Music students sang and played for attendees’ listening enjoyement. 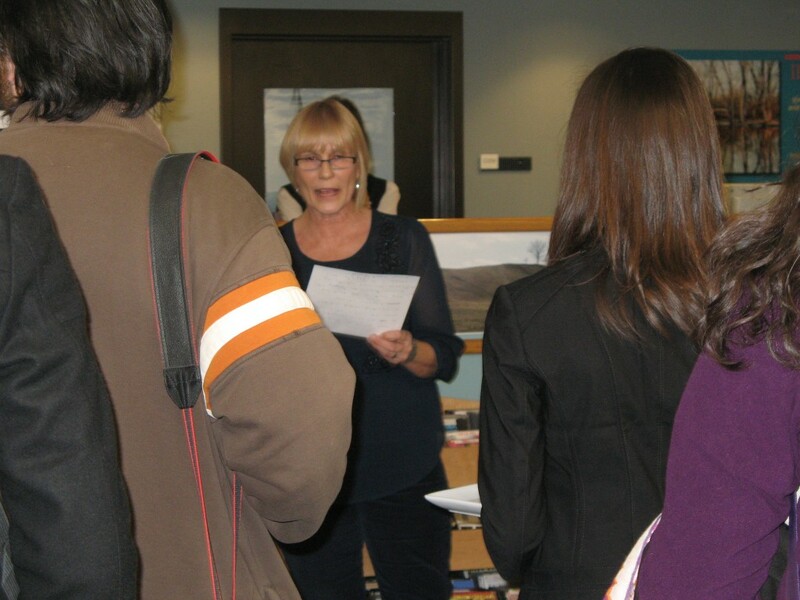 Jean Bigger, IMSA IRC Technical Services Supervisor, along with Jonathon Besancon, a faculty member of IMSA’s World Languages Dept., organized a superb event. Jean takes a moment at the start of IMSArt Expo to thank all involved in the event. This entry was posted in Displays, Events on January 10, 2014 by nluebke.